Produced by Screentime and the Australian Film Finance Corporation in association with Columbia Tri-Star Television. Directed by: Rob Marchhand. 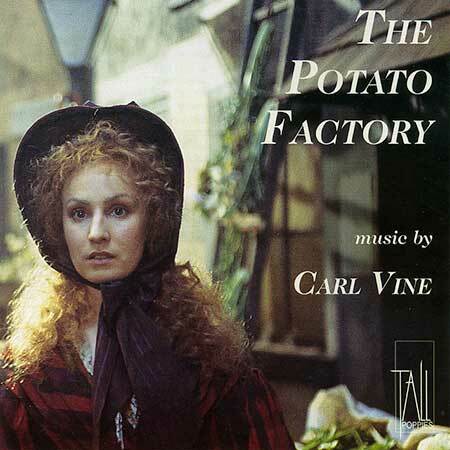 Music by Carl Vine. CD (ST) Tall Poppies. TP148. 2000. Violin: Kirsten Williams (Concertmaster), Anita Beuthien, Alex Delia, Gina Henery, Chris Latham, Georges Lentz, Nicki Lewis, Benjamin Li, Marina Marsden, Leigh Middenway, Airena Nakamura, Philippa Paige, Veronique Serret, Fiona Ziegler. Viola: Esther van Strahlen, Anne-Louise Comerford, Sandro Costantino, David Deakin, Justine Marsden. Cello: David Pereira*, David Wickham, Helen Byrne. Bass: Kees Boersma*, Kirsty McCahon, Alex Henery, Richard Lynn. Flute/piccolo: Geoffrey Collins*, Rosamund Plummer*. Oboe/Cor anglais: Alexandre Oguey*. Clarinet/bass clarinet: Catherine McCorkill*. Bassoon/contrabassoon: Jenny McLaughlan*, Matthew Ockenden*. Horn: Dominic Harvey*, Ben Jacks*, Geoffrey O'Reilly*, Marnie Sebire, Lisa Wynne-Allen. Trumpet: Paul Goodchild*. Trombone: Nigel Crocker*. Tuba: Steve Rosse*. Percussion: Daryl Pratt*, Ian Scotland*. (* denotes principal players). Recorded 30 May & June 6, 1999, Studio 200, ABC, Ultimo Centre, Sydney. Recording Engineer: Christo Curtis. Recording Producers: Belinda Webster, Christo Curtis. Soundtrack Producer: Christo Curtis. 01: Streets of London. (3:28). 02: Young Love Goes Wrong. (2:47). 04: Mary's First Job. (3:06). 08: Transportation To The Colonies. (3:13). 09: Hannah The Viper. (3:09). 10: Ikey & Mary. (3:50). 11: Business In The Colonies. (1:28). 12: Tommo & Hawk. (2:32).